Israel has always been a place that defied convention. 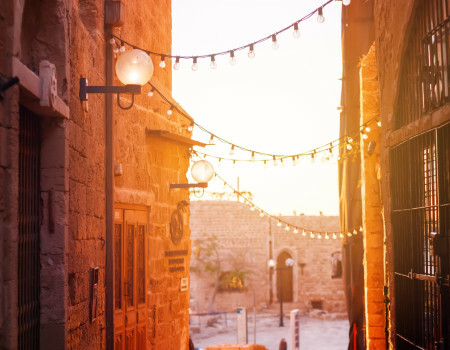 From Biblical ruins and Crusader castles to modern nightlife, world-renowned cuisine and a thriving start-up scene, this is a place of thrilling extremes. 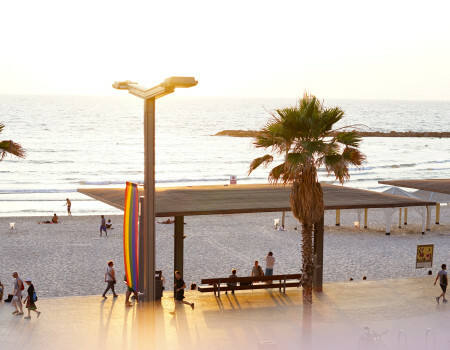 In Tel Aviv, the Middle East’s most come-as-you-are city, you’ll find soft sand beaches, a creative and avant-garde fashion industry, and a young, laid-back population that infuses this entire city with a 24/7 joie de vivre evident from its sidewalk cafes to its throbbing underground clubs. Only 50 minutes away in holy Jerusalem, the white stone relics of the world’s three major religions beckon pilgrims from every corner of the globe, and the air is as thick with mysticism as it is with spirited debate. 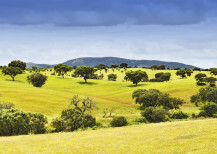 Don't forget to venture north, where vineyards, rolling hills and quaint villages show a slice of real Israeli life. The Nordoy, housed in an historic pink palace, is a UNESCO-heritage protected site located at the epicenter of one of Tel Aviv’s most exciting neighborhoods. The hotel seamlessly merges rich history and modern, and effortless luxury, and the rooftop sundeck, spa and warm hospitality adds to the immense appeal. 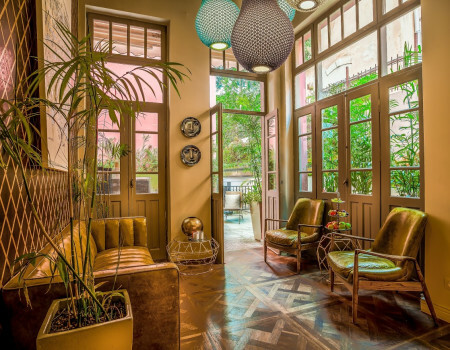 In a previously undiscovered corner of Jaffa, the Drisco is breathing new life and immense and elegant history into old streets. In the guest rooms, lush linens, pillow-soft beds, and divine Oriental tiling are paired with cutting-edge technology and old-school hospitality for a delightful fusion of the senses.The Efendi Hotel, in Acre, is a modern reincarnation of two Ottoman-era palaces restored to painstaking detail. And at Beresheet, located on the stunning Ramon crater, you will find a true desert oasis with jaw dropping red stone views. Debra Kamin is an American journalist living in Tel Aviv. She writes on a number of topics, including culture, entertainment and women's issues. She is a regular contributor to The New York Times Travel section. Her work has also appeared in The Atlantic, Foreign Policy, TIME Magazine, Town & Country, Variety, and beyond. Tel Aviv, Israel’s nonstop city, offers endless opportunities for fun—miles of sparkling coastline lined by smooth bike lanes and boardwalk; nightclubs that throb till the wee hours and markets and cafes that burst with fresh produce and innovative cuisine. 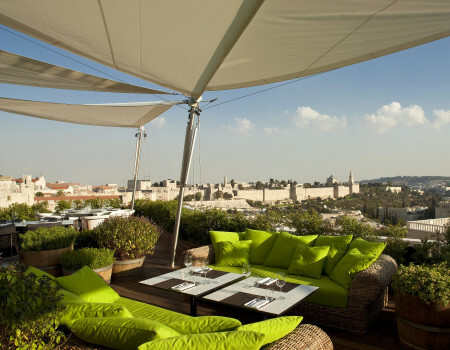 Couple that bounty with the nation’s best theater and music venues, 300 days of sunshine each year and the heart of Israel’s fashion, design and high-tech scenes, and you get the quintessential Mediterranean city that never sleeps—there’s just too much to see and do. 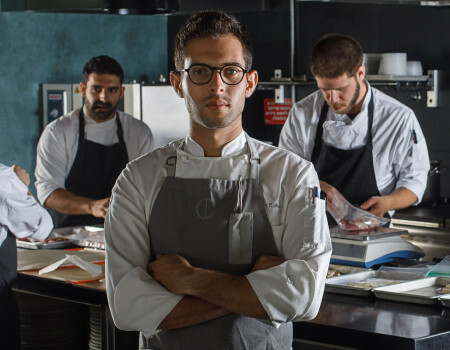 Chef Raz Rahav, a rising star wunderkind whose immense culinary talents belie his tender age, has created a carnival of consumption at OCD, where diners gather each night for a meal that is equal parts dinner and a show. Tucked off a side street in Tel Aviv’s bustling Carmel Market, HaBasta brings the best and freshest that Israel’s farms have to offer and pairs them with two things: a love of seafood and meat, and a deep appreciation for the al fresco, wine-drenched dining of Europe. In the heart of the Tel Aviv port, Kitchen Market showcases the very best of Tel Aviv flavors with a view that nearly puts the food to shame. 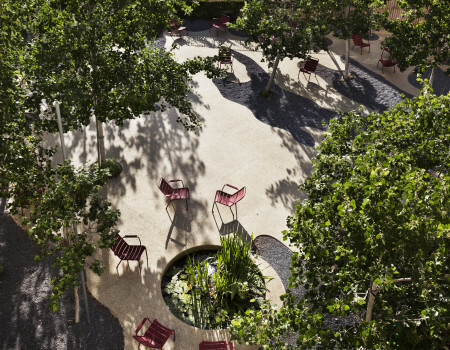 With charming cobblestone streets, postage-stamp-sized boutiques brimming with treasures and the Suzanne Dellal Center — the headquarters of Israel’s premiere modern dance company — the neighborhood of Neve Tzedek offers enough charms to fill an entire afternoon. Just a short walk away at Levinsky Market, a colorful collection of fragrant spice vendors, street food hotspots and gourmet stalls peddling Middle Eastern delicacies across a number of streets, the tastes of Israel — and its rich diversity of immigrants — are on full display. And for architecture lovers, there’s perhaps no greater treasure than The White City, a cluster of UNESCO-protected Bauhaus architectural gems, easily identified by their sloping balconies and handsome geometric facades. There’s a reason that Jerusalem, Israel’s hallowed capital, is a pilgrimage site for so many citizens around the world. 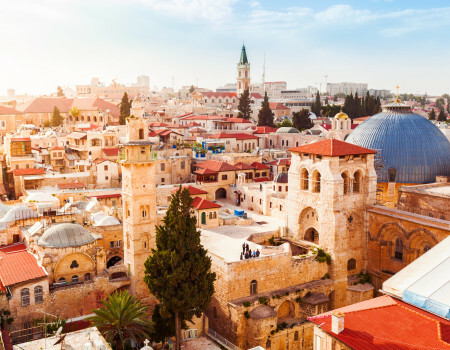 The holiest spot on earth for Judaism, Christianity and Islam, this rich, historic city boasts some of the world’s greatest religious treasures, including the Church of the Holy Sepulcher, the Western Wall and the Dome of the Rock. 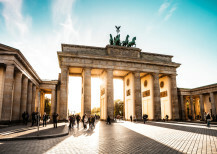 But don’t forget to look beyond the religious significance of this magnificent place and explore the thriving, modern city just beneath it, where there’s a vibrant food scene, cultural treasures and surprisingly rich nightlife to embrace as well.